If you’re about to renovate or build a new kitchen, the list of decisions you need to make could fill a small book. There’s the type of splashback, appliances, benchtop materials, light fittings and countless others. However, one of the most important decisions is the kitchen sink. After all, few fixtures will be used as often. Top mounted or bottom mounted? 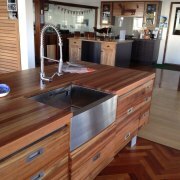 Top mounted sinks (also called over mounted or drop-in sinks) are inserted into a hole in your benchtop, with a lip holding the sink in place. 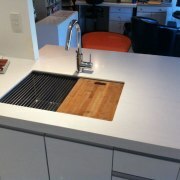 Bottom mounted sinks (also called under mounted sinks) are still inserted into a hole, but from the cabinet beneath, meaning there's no lip sitting on the benchtop. We’ll start with the shape. The idea of a single basin is still popular, but there are numerous other options too. One single, large basin makes it easier to wash large items – especially if you opt for a flat, rectangular sink. The downside? You lose some of the benefits of sinks with multiple basins, like a waste disposal. Two basins, of differing sizes or the same size, mean you can multitask more easily. You can soak a dish in one and peel vegetables in the other. 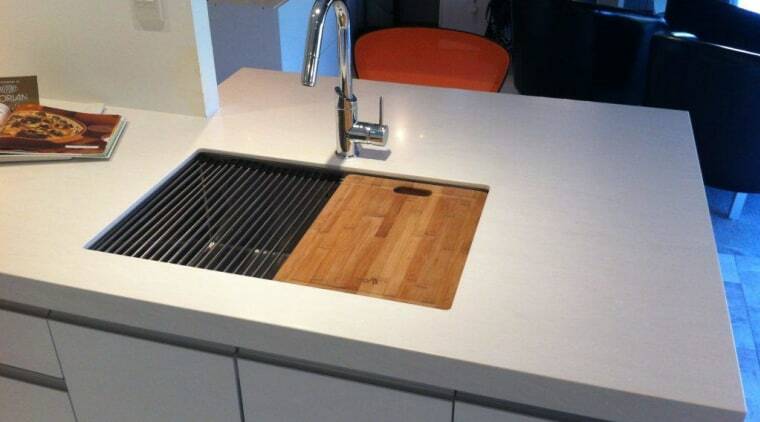 They’re also useful when doing the dishes, as you can have a soap sink and a rinse sink. While not that common, three basins can be quite useful if you have a waste disposal. There’s no shortage of material options for sinks, which is quite useful if you’re trying to match a sink up with a benchtop material. 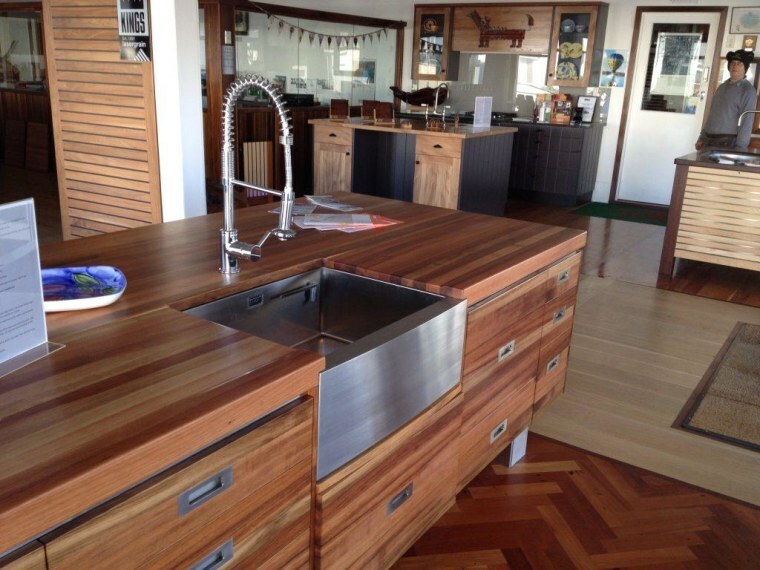 Stainless steel is durable, easy to clean and also fits nearly every benchtop material. It does scratch, so take that into consideration. Porcelain/ceramic sinks offer a timeless look, especially if you’re going for a vintage aesthetic. Stone, whether natural or engineered, is another great option for a unique kitchen look. 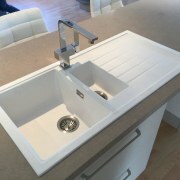 Corian benchtops with integrated sinks are ideal for a seamless look, both in contemporary and vintage kitchens. With regards to colour options, this largely comes down to the material you choose. There’s significant variety if you go for stone, and you can even get stainless steel sinks in different colours now. Lastly, there are the fixtures and accessories. You’re really spoilt for choice these days, as you can buy things like drying racks and colanders that slot right into the sink. There’s variety in taps, too, with certain models able to provide boiling, cold and filtered water.